Peace of mind is knowing that when your alarm activates, there is someone there who will come out to check on you and your property, 24 hours a day, 7 days a week. 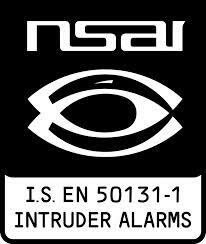 For this reason, it is worth while looking at having your alarm system monitored for burglary, panic and fire signals. When the monitoring station receives a signal from your alarm system, the monitoring operators will immediately respond to the signal according to your personal instructions. They will be able to tell, not only which room was activated, but whether it is a burglary signal, fire signal or panic alarm and will take the necessary action. The alarm sends a test signal to the monitoring station once a day so they know it is still on-line and will alert them immediately if you have a problem with your back-up battery. Today, electronic security systems are a vital investment in protecting families, property, plant & possessions. This investment can do more than ring bells & sirens which by law must shut down within 10 minutes. All activities that require urgent response can be transmitted by the Security System to a Central Monitoring Station 24 hours a day 7 days a week. Security alarms, hold up & duress emergencies, fire, medical & critical plant alarms, even after hours access to buildings can all be strictly supervised by having a Monitored alarm.